Today, I woke up around 5:30 AM and prepared myself for a long training run: my first 21 km run in the Philippines as a preparation for next Sunday: on July 7, 2013, I will run my first half marathon in Cebu City. So far, the longest run I made in the land of the 7107 islands was about 17 km – and that was already some weeks ago. After the Tabuelan 111 Triathlon two weeks ago, where I finished my fastest triathlon so far with about 2:35 h for 1 km swim, 44 km bike and 10,5 km run, I was looking forward to some more events to join. It just happened one day before that we (i.e. Bea) found out about the Run with Venus: A Beauty, Health and Wellness Event by STC HS’89. They offer 3, 6, 12 and 21 km runs – and I did not hesitate to opt for the half marathon distance (I still see a slight chance to join the Ironman 70.3 Cebu on August 4 with 1,9 km swim, 90 km bike and 21 km run, and the event next Sunday would be a nice training run for the Ironman). My preparation during the last days consisted of some shorter runs with Bea who wants to run the 6 km in Cebu City; hence, we were training that distance to make sure that she will be successful on her first running event;) Then some swim training here in Panglao in a 25 m pool, some more runs here in Panglao, a 50 km bike ride yesterday to ICM Tagbilaran and back to Alona Beach and some other bike rides last week in Cebu City and on Bantayan Island. 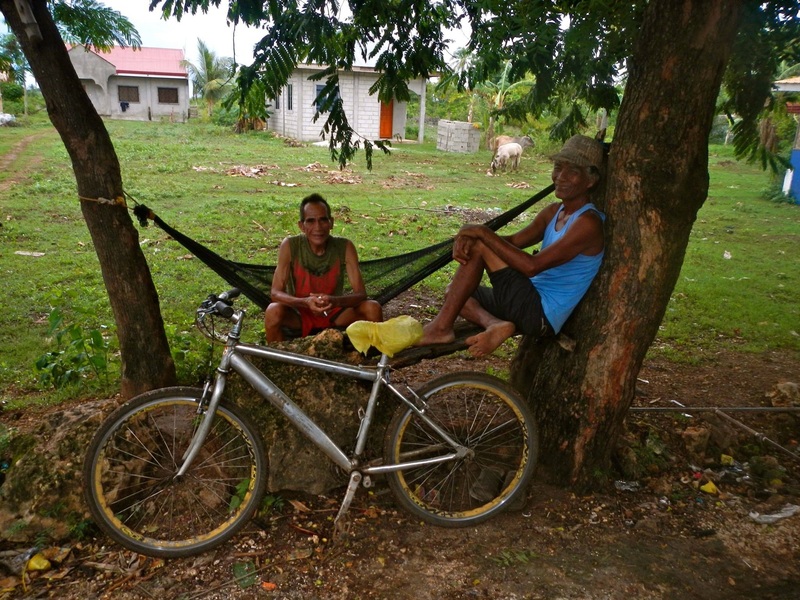 Some really cool bikers I met on a cycle tour around Bantayan Island last week. So we also started with 6 km this morning and got some Gatorade; I bought two bottles to have enough fuel for the next 15 km. I initially planned to have a rather easy run – maybe 90 min for the 15 km. But only after a few hundred meters, I tried to speed up a little bit and found out that it was really hard to run faster than 5 min / km. No wonder: I had no real breakfast this morning before my half marathon training and the conditions here in the Philippines are just a lot different from the conditions in Germany. The 50 km bike ride yesterday and the speed training last Friday was still in my legs; after my training run today, I am not sure anymore if can really beat my personal best time of 1:41:21 h for a half marathon (Friedberg 2011) and even run less than 1:40:00 h.
I would need to run about 4:44 min / km in average, and today, I finished the 15 km in 1:23:30 h (5:34 min / km) – 50 seconds slower than I need to be next Sunday. Of course, it was only a training run; and during an event, you are always a bit faster. But I did not expect that it would be that difficult to run fast in the Philippines. But I will do my best to finish under 1:40:00 h, – I should at least finish under 1:45:00 h.
After 14 km today, my left knee tried to tell me something, but I did not really listen to it. Some kilometers more, and my left Achilles tendon joined my left knee, but both of them stopped their talks after a while. It is just like it always is: on longer runs – let´s say between 20 km and 42 km, your body would start to hurt. One of the most important books that inspired me a lot: Haruki Murakami´s “What I talk about when I talk about running“. So, let´s see, how my first half marathon in the Philippines next Sunday will turn out for me; anyway, I am really looking forward to it. Hope to see you there! Wishing you a great run for Run with Venus. You might just snag a place at the top10. Good luck this July 7! thanks for your comment:) Yeah, let´s see how many competitors there are for the 21 k run. 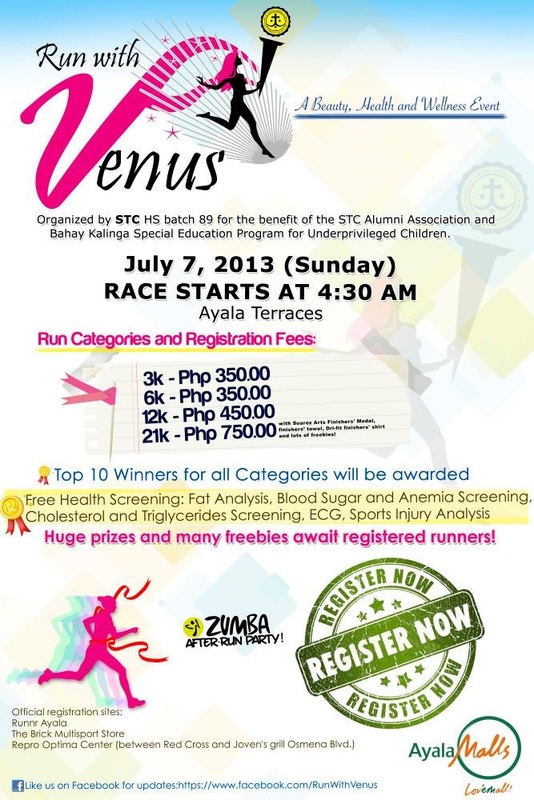 Are you also joining “Run with Venus”?